This wasn’t written with a vintage pen, in fact, it was written with a very modern pen by a modern manufacturer. Do you take notes when you read classic books? Do you also have plenty of stationery? I don’t have plenty of stationery anymore. Okay, I do compared to people who don’t care for stationery, but in the pen-loving world, I don’t have that much. I do, however, write down my favorite quotes as I read. What are your favorites? Share them with me so I can write them in a future Handwritten Post! I’ll be sure to thank you. 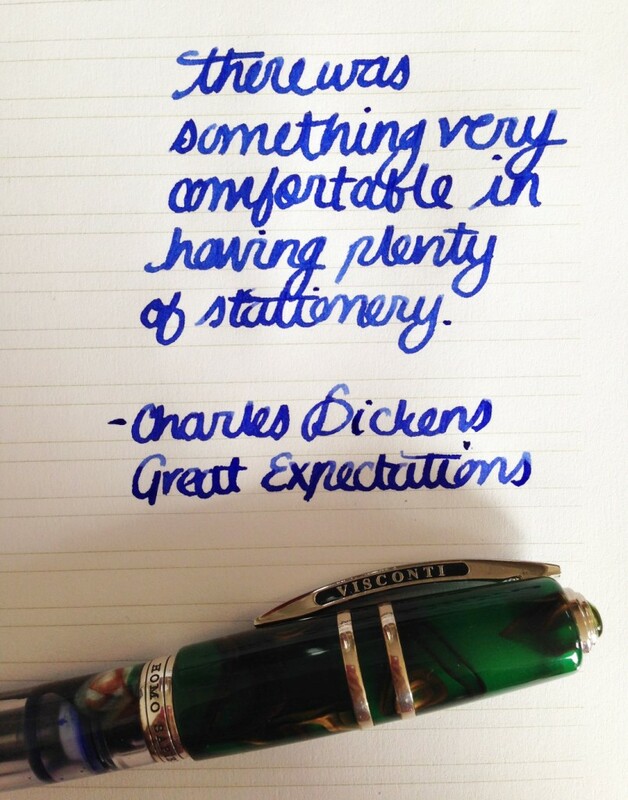 This entry was posted in Vintage Pens and tagged Handwritten Post, Quotes, Stationery. Bookmark the permalink. Follow any comments here with the RSS feed for this post. Post a comment or leave a trackback: Trackback URL.